In 2015 in Michigan, a mother was arrested for killing two of her children and hiding them in the freezer. It turns out that the two children had been dead for two years. Immediately, questions were raised as to how two children could be missing that long, without anyone noticing. No relatives, no neighbors, no school officials, no social workers…no one knew they were gone. When the mother was arrested, she insisted that her children had been homeschooled. In Michigan, there are no reporting, or standardized testing, requirements for home educated students. This led to a Democratic state representative drafting a bill that would have required annual reporting to local school districts and mandatory bi-annual visits for homeschoolers with CPS workers, police, doctors, psychologists, etc. In MN in 2015, a seven-year-old boy died from what prosecutors charged was medical neglect. The family was reportedly homeschooling their son. In 2016, a sixteen-year-old girl, who has reported to be a homeschooler in West Des Moines, Iowa died. The parents were charged with starving their adopted daughter to death. On January 15, 2018, news stories out of California have reported allegations of horrible abuse of thirteen children who were reportedly starved and handcuffed by their parents. With this situation being so fresh, it’s clear that there are many still many questions unanswered. One thing is clear. This situation puts the spotlight back on allegations of abuse in the homeschool community. Situations like these have caused some critics to question what they consider to be too lax regulations regarding homeschooling in various states. They said that it was homeschooling, and lack of access to the home by government officials, that allowed for these abuses and deaths. Would Government Regulations on Homeschooling Protect Children? Is it true that greater academic oversight of ALL homeschoolers would protect children from physical and/or sexual abuse or death? There was no credible evidence that the mother in the Michigan story was intentionally homeschooling her children in any way. She was not a member of any known homeschool associations, did not attend any homeschooling events, and did not produce any credible homeschooling curriculum. But that glaring fact aside, would her children have been safe if homeschooling was more regulated? Would standardized testing, or annual reporting, have kept her children from being killed? It should be self-evident that people who disobey laws (like laws that prohibit them from abusing their children), will simply ignore and avoid additional laws that purport to prevent future crime. Additional regulations and restrictions on homeschooling really just create needless bureaucracy and cumbersome intrusions for the multitudes of loving, law-abiding parents who are now suspiciously categorized by the government as potential future criminals. In 2016, the U.S. Department of Health & Human Services (Administration for Children & Families) released a report on known factors related to abuse and child neglect. How Do We Stop Abuse? As bad as we would all like to, we simply cannot completely prevent abuse before it starts. At least not through governmental solutions. Abuse and neglect are prevented by people who care. The one thing the government can and should do, is enforce the perfectly adequate child abuse laws that exist in every state in the U.S. As with most of our societal ills, we don’t need additional laws. We need the consistent application of the laws that are already in place. If a child is being abused by a parent, those parents need to be prosecuted under the existing laws in that state. But we dare not seek to punish all families because of the potential future actions of a few. Very often it is argued, by opponents of home education, that children are safer in public schools than they are with their own parents. But is there any evidence that would support this? The fact is, thousands of children, who attend public schools, are abused by their parents every year. This abuse often goes undetected, year-after-year, by trained school officials and staff. Many advocates would suggest placing that child into a public school system as the solution to protect them from potential abuse from their parents. But now the child simply faces a new predator danger: Teachers who prey sexually on their students. The online site, WorldNetDaily.com, has compiled an alarmingly large list of teachers who have been prosecuted for being sexual predators to students in their classrooms. The Gen 2 Survey, one of the largest studies on the Millennial generation, with almost 10,000 participants revealed that students who are homeschooled are actually 257% less likely to be sexually abused than students who are in public schools. With estimates of approximately 2.3 million students being safely and successfully home educated in America, there is good reason to argue that it is the government-run school system, not home-based, parent-directed learning centers, that pose the greatest physical risk for students. So the notion that children would be far safer in a public school classroom than they are with their parents and siblings, is simply not supported by the available data. When a child enrolled in the public school system is abused by his or her parents, no one says, “We need to have stricter teacher certification laws,” or “We need better annual standardized tests,” or even, “All public schooled students need to have mandatory home visits by CPS!” No, people do not think to blame the educational system for abusive parents. Neither do they seek to violate the basic, fundamental rights of all innocent parents because they are suspected of potential future crimes against their children. So why the double standard when it comes to home educators? Why shouldn’t homeschoolers receive the same basic courtesy afforded to those in a public school setting? If parents abuse their children, then by all means, prosecute those parents to the fullest extent of the existing child abuse laws in your state. As always Israel, well-thought-out points! What could also be pointed out is it is never good legislative practice to draft legislation aimed at the “one bad apple.” America stands for more freedom versus more law. Answers that actually work: Other homeschoolers not turning a blind eye away from homeschooling families in which something seems off, but actually asking the children some key questions (and often the mother as well). Teaching homeschool children, in their co-op and church environments, what abuse is and when and how to ask for help. Listening to and providing help for the children who speak about abuse, even when it’s from “such a good Christian family.” Listening to the young adults who have come out of cruel homeschooling families and being there for them instead of turning away from them. These are answers that require no government intervention and show that we do indeed care for our own. 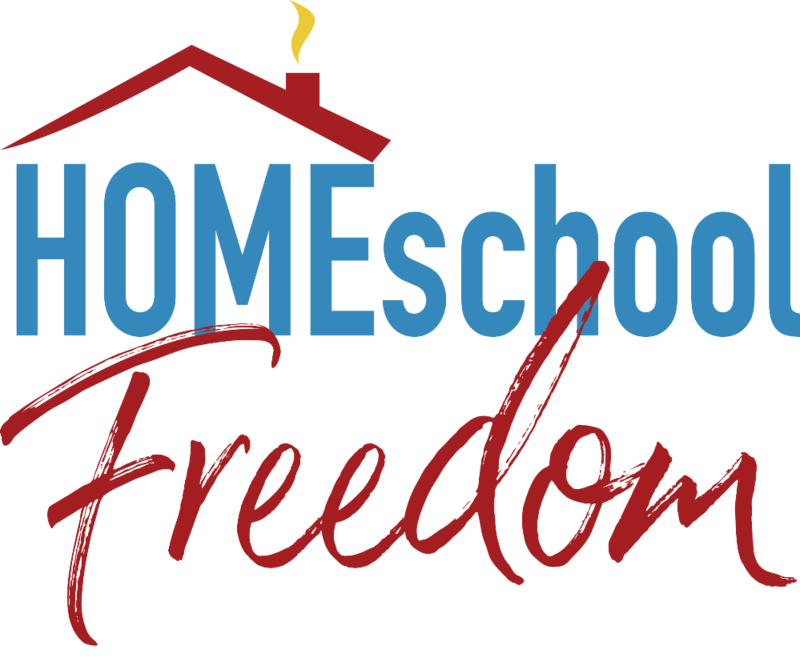 If we insist that the cruelty that sometimes occurs in homeschooling families is “not my problem,” then the people outside of homeschooling–and often outside of Christianity–will be the ones who will embrace the ones escaping the abuse. We want them instead to see the love of Jesus through us. Thank you. That is very true and very convicting! Very well said. As Christian homeschoolers, we should not look the other way, or try to”hush” or quiet these instances, we should see what we can do to help. If we form community bonds with other homeschoolers with intentions of looking out for each other, there’s strength in numbers. It’s builds communication, gives opportunity to fellowship, and broadens awareness of critical issues. I think the problem here (in the situations highlighted) is that these people weren’t ACTUALLY homeschooling. They were CLAIMING to be homeschooling so as to avoid having their children someplace there would be accountability. I completely agree with all of the things you said (and the same things are true in the church, as well!) but unfortunately, I doubt they would have prevented these particular scenarios. Rachel, I agree that they may not have either in this case. But I know of so many cases where they would. I pray that Christians, and especially Christian homeschoolers, will be paying attention to the most vulnerable among us. That’s not what he said here. Nothing will change in CA to protect other kids in the same predicament as those 13 kids who were just found out. The parents will go to jail but how about all the neighbors and cps or the cops. More big million dollar lawsuits will be filed and won against the state of CA for their incompetence and the taxpayers will get hosed again but then life goes on. SSDD ! Excellent points. Plenty of children go to public school and return home to abuse every night. Also, the story out of CA states children were aged 2-29? Before age 6 and after age 18, what homeschool regulation is going to stop mentally ill parents from abusing their children this way? We ALL want to stop these atrocities from happening to children, but policing homeschooling families and routinely sending CPS to their door for a “checkup” isn’t the answer. I would like to share this, but you need to fix one thing. It is not possible that “students who are homeschooled are actually 257% less likely to be sexually abused.” The reduction cannot be more than 100%, down to zero. A simple visit to the home by a neighbor could potentially stop abuse. Bake some cookies and ring the doorbell! Then if something seems off, then call the authorities. It amazes me that the parents in CA were not caught for years. No neighbor wondered about a family with 13 kids that were never seen?!? Fair points all around, but that doesn’t mean some regulation couldn’t help, either. It’s not all or nothing. As a homeschooler myself, I don’t think annual tests would be a big deal. We already do them voluntarily, just for self-awareness. With technology it enables a check and balance to be non-intrusive. Maybe once a year, a 30 minute age appropriate virtual skills test? Not much of a sacrifice for me, and worth it if it saved even one life. The ironic part of this is that a child stays at home with a parent for 5 years before going off to public school or homeschooling. No one seems concerned by this or insists on the government coming into the home or insisting that those young children need to go see someone once a year to prevent parental abuse. It’s only after they are homeschooled that people feel the need to have the government involved. Most parents are more of a threat to their young child if there is neglect in the home than an older one. The government doesn’t need to be involved we need to have better morals as a country as a whole. I clicked on the link that was referenced in this post, to read the government report from 2016 on preventing child abuse & neglect. The greatest risk factors had nothing to do with homeschooling, but in actuality mentioned children under age 3 (among many other factors) being at greatest risk. This is well before school age, and homeschooling vs public education wouldn’t even come into question at this point in most cases. The children at greatest risk of child abuse have ALREADY been reported by people with concerns to child protection agencies that are underfunded & understaffed and are already struggling to keep up with the thousands of cases they currently have! Additional laws needed? Or greater follow-up on laws & methods we already have in place with children who have already been identified as potential victims ? The answer seems obvious. And, I for one, also wouldn’t mind having our children tested annually, if it would help save another life (we also already test voluntarily each year). My only concerns are 1) My children have learning disabilities, dyslexia, etc. Where would they draw the line at whether one’s children “measure up” to national standards & whether the parents are “qualified” to homeschool? This could have the potential to target families that have nothing to do with child abuse, & yet may promote government interference and restricting freedoms by agendas that are already anti-homeschooling. 2) The increase of government funds needed to employ workers to follow up on all homeschooling families…. Wouldn’t those funds be better served pouring into the CPS agencies struggling to keep up with the cases they already have? and 3) the principle behind regularly monitoring homeschooling families who show no other risk factors for child abuse. Should we carry this principle over to regularly monitoring every family in the US who has children under the age of 3, simply because that is one of the risk factors (& one of the greatest!)? Seems absurd to target healthy families simply because only ONE criterion is met (and remember, homeschooling was not even identified as a risk factor in the government’s own report). This principle is just not sound.